Roller skates were first invented in Europe in the 1760’s. Joseph Merlin, a Belgian, invented a skate that “skittered” across the floor on small wooden wheels. The hobby didn’t take off at all, and Merlin emigrated to England. In the 1800’s, the Dutch used wooden wheels on their ice skates so they could continue skating in the summer. Roller skates appeared on the ballet stage in 1818 in Berlin, and were also seen on the streets of Paris. In England, this form of recreation was referred to as “rinking”. The skates of those times, however, only went in a straight line – they couldn’t turn – and they had no breaking mechanism, so once again the pastime faded away. Roller skating finally made its way to North America in the late 1830’s, with European manufacturers still dominating skate designs for several years. Following is a summary of the major known developments and technological improvements of the roller skate, from its origins in Europe, to the inline skates which are so popular today. And if you think that the “inline” technology is a 20th Century invention, read on! Early Inventions: Not unlike the European way, early American roller skates were usually copied from various models of ice skates, featuring anywhere from 2-6 wheels, attached to a wooden “plate”, and arranged in an in-line fashion to imitate ice “blades”. This type of skate actually steered better than its 4-wheel conventional design counterpart, with 2 wheels in front and 2 in back. In 1863, J.L. Plimpton, from Massachusetts, revolutionized the roller skating world by inventing the “rocking action” skate – this was the first model which could be steered or guided, and it started the first “roller skating craze” in the United States and around the world. The use of a rubber cushion between the wooden plate and the axles allowed the “truck” to “rock” when the skater shifted his/her weight to the inside or outside of the foot. Soon turns and fancy figures developed, and there has been no looking back – this was certainly the forerunner of the traditional roller skate as we know it today. Clamp-on Skates: About the same time that Plimpton was working on his “rocking action” invention, another Massachusetts inventor was busy getting the patent for his clamp-on system of attaching skates to a shoe or boot. E.H. Barney invented this clamp-on system for both ice and roller skates. Prior to this, skates had been attached to boots with leather straps, which were more liable to break. The clamps could be adjusted by a screw which was attached to the bottom surface of the plate, and many skates actually used a combination of clamps on the toe, and leather straps on the heel. A two-piece, adjustable-length roller skate plate emerged in the 1890’s, enabling a single pair of skates to fit people with varying shoe sizes. The use of the sliding front and rear plates to adjust to the growth of a child’s foot continued well into the 1960’s. Kids, ask your parents – it’s likely that they had a pair of these skates with their metal wheels, or had friends who did! You can still find them in garage sales and flea markets, or maybe even in your own garage or attic! Shoe Skates: The turn of the century saw the first “shoe skates”, those in which the plate was designed to be attached permanently to a “skating boot”. Professional skaters of that era used shoe skates almost exclusively, but the general public did not – clamp-on skates continued to be used in roller rinks until well into the 1950’s, as shoe skates were believed to be unhealthy and unsanitary. History has shown, however, that this is the only type of traditional roller skate that we now employ, both for personal and public rink use. Wheels and Toe Stops: The first known wheels for roller skates were made of wood, primarily boxwood from Turkey or Persia, and later the North American maple and oak were used. Rubber wheels were introduced on the English “Woodward” skate in 1852, and metal and fibre wheels also emerged; however, wooden wheels remained popular until about 1910. Today’s wheels come in several sizes, and are made from various synthetic compounds, depending on the degree of hardness desired. Harder wheels tend to run faster than softer ones, while soft wheels tend to grip the floor better. Although not perfected or commercially produced until the 1950’s, toe stops were seen much earlier. The first recorded toe stop was a rubber “pad” added to the front of the skate in 1876. Further ideas of a similar nature were patented in 1908, but never commercially produced. It wasn’t until the 1940’s that the toe stop really came of age. Toe stops, of course, perform similar functions to the “picks” on the front of ice figure skates, and they allow artistic roller skaters to jump off their toe and perform a variety of intricate fancy moves. Early roller hockey players also used toe stops to assist in their quick stops and turns, feats which are much easier on traditional roller skates than on inline skates! Ball Bearings: A major improvement to the roller skate was the addition of steel ball bearings to the wheels in 1884. This not only reduced friction, but allowed the skate wheels to turn more freely. Skating was now a less strenuous activity, and the popularity of the pastime increased considerably. The technology was further refined in 1908, with the design of the “cup and cone” device which holds the ball bearings inside a sealed casing. This arrangement allows the bearings to roll in a “bearing race”, rather than just slide or rub against the wheels or axle in an unorganized fashion. Inline Skates: As we have seen, the first roller skates invented were really inline skates. The technology did not progress at that time, however, to allow these skates to do anything other than skate in straight lines. The traditional “quad” skate was improved to allow skaters to create deep and precise edges, and to perform jumps, spins, fancy turns, etc., that very closely resembled ice skating moves, whether in artistic, speed, or hockey. On modern inline skates, the wheels are affixed to an assembly called the “frame”, rather than a “plate” for traditional skates. Since 1990, inline skate technology has taken up the challenge of allowing skaters to perform the same types of moves as traditional roller skates. Roller skaters are now discovering the increased advantages of inline skates, specifically and most noticeably, increased speed. Manufacturers continue to experiment with different wheel heights along the frame, and different methods of aligning the wheels that will improve the skate manoeuvrability for Artistic disciplines, but so far they have only satisfied the Speed and Hockey players. Ice speed and ice hockey athletes can now make a much easier transition to wheels, and take advantage of cross-training activities in the summer months. Both the roller speed and hockey disciplines now feature inline skates almost exclusively for national and international competition. The progression from recreational skating to competition is closely linked to the development of skate technology, and to the formation of organized indoor facilities. The first traditional-style roller hockey matches (originally called “Roller Polo”!) were played around 1870, soon after roller skates were invented. Great Britain produced the first players, drew up the rules in 1913, and dominated the sport until 1939. After World War II, Portugal and Spain took over as the international powers. The 1880’s and 1890’s saw key improvements in roller skate construction. M.C. Henley patented a truck in which the tension of the cushions could be adjusted by a screw, like the modern day kingbolt. Adjusting the tension enables skaters of different weights and builds to perform similar movements and figures, which was one of the most important factors contributing to the growth and popularity of competitive roller skating during this time period. The introduction of ball bearings to roller skates caused such an increase in popularity of the sport, that the Federation Internationale de Patinage a Roulettes was formed in 1884 as the World Governing Body for all roller skating activities. The name has since been changed to the Federation Internationale de Roller Skating (FIRS), to reflect the strong North American influence in the sport. Our neighbours to the south later took the lead role in progressing the sport to higher levels of competition. The Roller Skating Association (RSA) International (formerly the Roller Skating Rink Operators Association, or RSROA) was formed in the United States in 1937, and they created a set of North American rules governing amateur competitions. The first recorded Speed competition on this continent took place in Cincinnati, Ohio in 1938, and within a year, Figure and Dance (Artistic) meets were held in Michigan and New York. In 1940, a Speed, Figure and Dance competition was held in Cleveland that attracted over 500 skaters, and lasted four days! In the 1970’s, USA Roller Skating (formerly USAC/RS) was formed to work alongside the RSA, and as a purely amateur body (compared to the RSA which is an association of business people). As a non-profit organization, USA Roller Skating was now able to comply with U. S. Olympic Committee membership requirements as representatives of the amateur athletes. 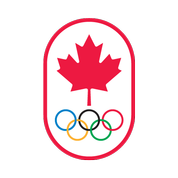 Roller Sports Canada (formerly the Canadian Federation of Amateur Roller Skaters) was already a non-profit, amateur body, and thus became a member of the Canadian Olympic Association in 1979, having representation on the COA’s Board of Directors since that time. World Championship competitions soon developed in all roller skating disciplines, as more and more countries created organized skating federations — Roller Sports Canada was incorporated in 1973 to govern roller sports in Canada. Roller Skating was a demonstration sport at the 1979 Pan American Games in Puerto Rico, and has been on every Games program since the 1987 Games in Indianapolis. The most recent major development was the first Roller Inline Hockey World Championships which took place in Chicago in 1995, with yearly championships being held ever since. Whether for serious training sessions or simply skating pleasure, skating attire in the late 1800’s and early 1900’s was always in keeping with the publicly acceptable dress of the day. Ladies wore ankle length skirts, while men sported stiff white shirts and ties. There was no such thing as the specific “sporting attire” that we now think of as commonplace for sports. Today’s Speed and Artistic skaters are decked out in the very latest of stretch nylon and lycra materials that conform to the body. Costumes are extremely elaborate for artistic competition, and ladies outfits are often covered with trims of lace, sequins, jewels, and the like. Male partners wear matching colours, but usually of a slightly sturdier fabric and with less obvious adornment. Hockey players wear uniforms similar to ice hockey players, but with less protective padding. For years now, roller sports have been immensely popular in many countries around the world, especially in those with warmer climates. European athletes often train on the ice in the winter and on outdoor roller rinks in the summer. Their traditional roller hockey leagues are quite sophisticated, and a number of professional teams enjoy a popularity that is second only to soccer in their countries. Athletes in the southern United States, South America, Australia/New Zealand, and Asia also enjoy year-round outdoor training facilities, and so have produced some remarkable Speed skaters. Artistic skating is more restricted to indoor facilities which can provide adequate sound systems for accompanying music, though some countries without such luxurious facilities (such as Germany and Italy) seem to manage quite nicely with outdoor rinks and portable sound systems. Improved technology and increased popularity of inline skates have perhaps together caused the greatest transformation since the inception of the sport. Whether for recreation or competition, inline skates not only dominate roller speed meets, they have now been declared mandatory at the World Class/Pan American Games levels. Roller inline hockey is now a rapidly growing World Class sport discipline; and a number of companies in Europe and the United States are still refining the inline skate technology for Artistic skaters. We should see inline skates at the World Artistic Championships this decade for sure! Copyright 1983 by The National Museum of Roller Skating, Lincoln, NE, U.S.A.